Photos courtesy of Caffe Ladro: Jack Kelly started Caffe Ladro in upper Queen Anne in 1994, opening next to a Starbucks. It started out as a small cafe next to a Starbucks in Queen Anne, but 25 years later that Starbucks has moved and Caffe Ladro remains. 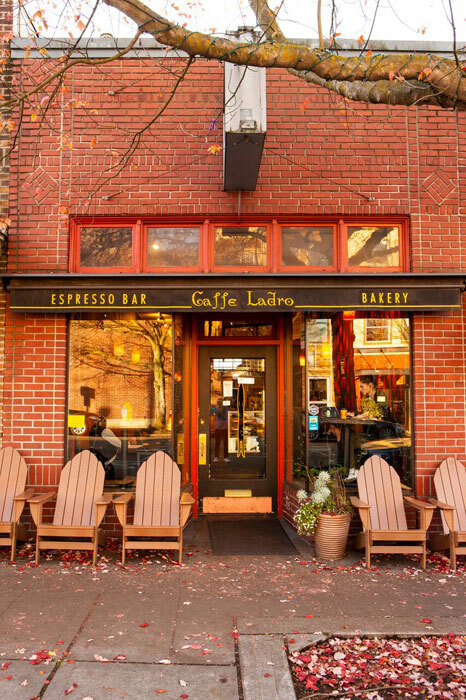 Kelly opened up the first Caffe Ladro in Queen Anne in 1994. Kelly grew up in Minnesota and moved to Seattle to study marine biology at the University of Washington. He soon found himself surrounded by coffee. 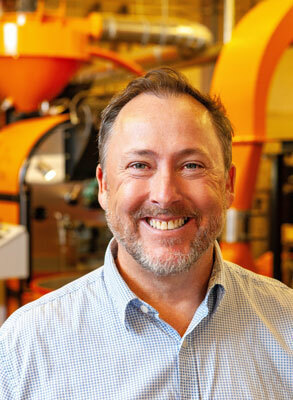 Nearly three decades later and Kelly has grown his small, local coffee shop business to include multiple locations and a roastery. The new skills he’s gained as a founder of such a large company may have meant sacrificing some of his original barista skills. Kelly opened his second location in lower Queen Anne in 1998. Now there are 15 active locations, with a 16th coming in May. There are also plans for stores number 17 and 18. Kelly said he was not overly ambitious, so he never expected to own almost 20 locations. He credits business partner Bob Ohly for that. Caffe Ladro served as just a coffee shop and retail business until 2010. The business then began roasting its own selected beans and making online sales, which has brought new challenges and adventures for the company. The extra effort Kelly and his team put in earned them a Good Food Award for the Ethiopia Limu Organic blend. Thousands of businesses go to a convention in San Francisco, and only three businesses from the Pacific Northwest can win. The winner’s coffee must be organic, traceable and sustainably sourced. To celebrate its 25th anniversary, Caffe Ladro will give out free coffee and treats to customers on April 24. Past and present employees, family and friends of Caffe Ladro will participate in a large party at the Ballard roastery on April 1. Kelly said what makes his business stand out in a city known for its many coffee shops is the quality of the brew and the relationships.